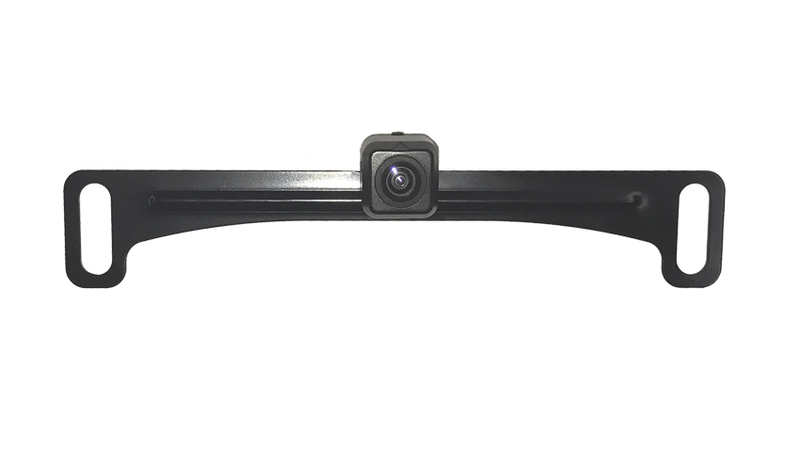 The concealed black license plate camera is perfect for low-profile installation on cars, trucks, RVs, trailers, and many more. For starters, this camera has a CCD lens so that you get perfectly clear HD picture quality. Trying to use a low-quality camera to see behind you can actually be quite dangerous. This hidden backup camera gives you an accurate representation of what is behind your vehicle. As the sun goes down, you can trust on the military grade night vision to kick in. This versatile camera has the option to turn on only when the vehicle is in reverse, or it can be used the entire time you are driving. This heavy-duty hidden backup camera is made from tough steel and will withstand even the harshest of road conditions. The casing is completely weatherproof; so, don't worry about removing the camera if it rains. Anyone can install this hidden backup camera. Just screw it into your current license plate screws and you are good to go. You don't need to worry about any mounting brackets, drilling, or modifying your vehicle in any way. This set comes with all of the cables you need to install it, and this camera is compatible with all of our quality monitors. At Tadi Brothers, you get more than you pay for. Our high-end products are priced for shoppers on a budget, but we never sacrifice quality. If you want real value, look no further. This hidden backup camera is versatile, reliable, and loaded with the latest features. It will give you the performance you demand. We are so sure that you will be pleased with your purchase that we offer 30 days to return it for a full refund if you have any issues at all. We also provide our customers with a 24/7 technical support service if you ever need assistance. Call us at (866) 966-5550 ext. 2 to learn more, or simply place your order online, now.